Welcome to Smile More Kidz! Our dedicated dentistry team has offered families outstanding care at Smile Dentistry, and now, we’re proud to provide care that is just for kids. 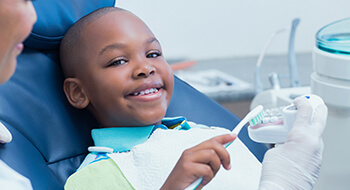 Conveniently located in the same Tappan, NY building as Smile More Dentistry, Smile More Kids offers child-friendly dentistry services in an environment that will make your child feel completely comfortable. If you’d like to make an appointment for your little one, please give the friendly team a call. We look forward to seeing you soon. When you and your child visit Smile More Kidz, you’ll be warmly greeted by our team the moment you arrive. Our entire office is outfitted with furnishing, games, and toys that will entertain your little one and make them feel right at home. Our friendly dentists and team members go above and beyond to ensure your child feels safe and has a great time while visiting our office. The Smile More Kidz team and the American Academy of Pediatric Dentistry recommend that children visit the dentist following the eruption of their first tooth or before their first birthday. These early visits simply give us the opportunity to check your child's developing dental structures to make sure there are no areas of concern. 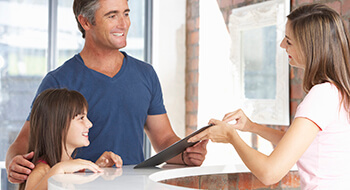 Quick and painless, we visually and manually examine any teeth and gums. We also assess jaw function and the development of facial structures. These visits may only last a few minutes, and we typically allow you to hold your child in your lap during the entire appointment. In most cases, we’ll recommend kids start visiting us for more traditional appointments at the age of two or three. At this point, your child will have more visible teeth and be able to better understand what's happening at the office so they are not frightened. 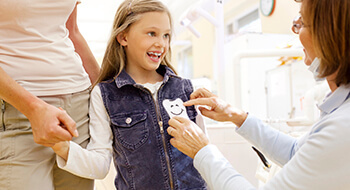 At this time, we'll also begin capturing digital x-rays that will be used to track your child's dental development, so we know right away if there are any areas of concern. We love working with young patients, and our team members will take the time to answer all of their questions. 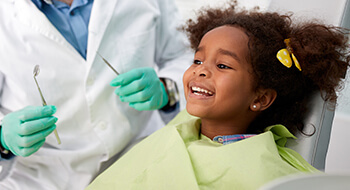 There’s no better way to create positive associations with the dental office than to encourage your child’s natural curiosity and put their mind at ease by explaining treatments carefully. We also have games and fun activities your child can do in our office and at home to make taking care of their teeth a treat.